GM Quader came up with comment while briefing reporters at party Chairman HM Ershad’s Banani office in the capital on Saturday. “We want to act as strong opposition party in the parliament to raise voice for the country and its people as well,” said GM Quader also deputy leader of the opposition in the House. He said Jatiya Party took the decision to play a powerful role as the opposition party considering the smooth functioning of the parliament. “There will be no Jatiya Party lawmaker in the new cabinet as it wants to play a positive role in the House for the sake of the country,” the JP leader said. 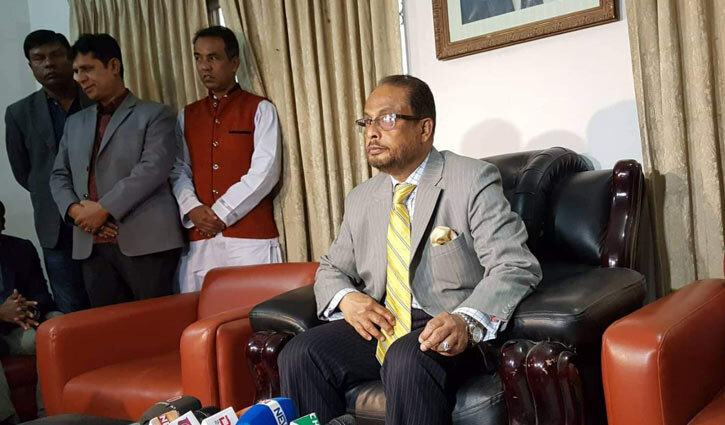 Party Chairman HM Ershad will act as the leader of the opposition, Quader said adding that Ershad is now quite well and he would take oath immediately after talking to the speaker of the House.